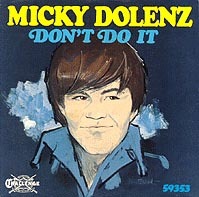 B-side is instrumental, and does not feature Micky. The promo and stock copies feature different mixes of "Daybreak." A cheezy attempt to cash in on the 1986 Monkees reunion, this is the 1965 Challenge recording with "modern" synth, guitar and drum tracks dumped on top. 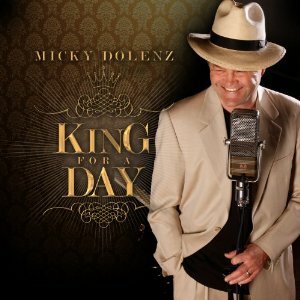 As a great vocalist, Micky has lent his voice to several other audio projects. by Dan Mannix, abridged by Paul Wetherby. BBC Radio Collection (1990). BBC Enterprises Ltd. Cat # ZBBC 1157. 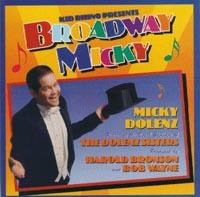 Peter Tork's 1994 album, Micky does the backing vocal (along with Michael Nesmith) on the song "Milkshake"
In addition to providing the vocals for a number of Monkees and solo songs, Micky was also the songwriter. His first attempt at writing was Randy Scouse Git that appeared on the Monkees third album Headquaters. And beginners luck was with him as the song was a hit in both the US and the UK. 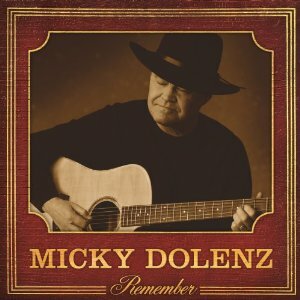 Below is the full listing of all the tunes written by Micky.